Its's snowing! 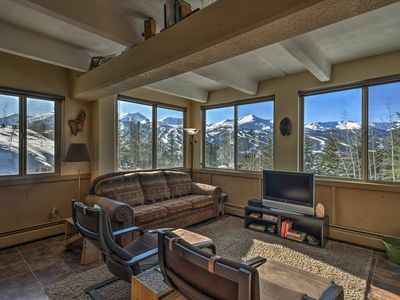 1st Floor unit just Steps from Gondola! Season has opened early and the outback is open! 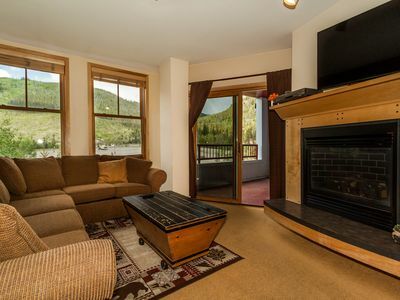 This unit is less than a 3 minute walk from the River Run gondola and village. 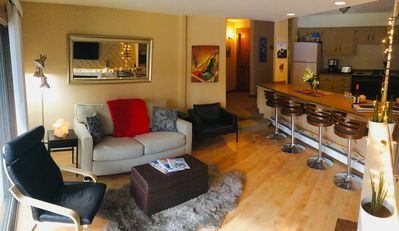 This first floor condo sleeps 4, has a queen bed in the bedroom, a very comfortable full size pullout in the Living Room . While it's just a few minute walk from the village, the location is very cozy and peaceful. 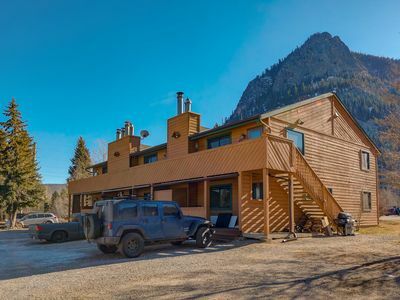 Red Hawk Lodge is one of the newer complexes in River Run and is very popular for guests who want to be close to it all, yet still wish to enjoy some stress-free peace in tranquility. 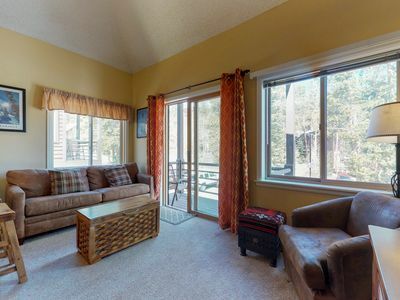 When you are not enjoying the great outdoors, there is a large game room in the lobby with a pool table, board games and comfortable seating in front of the large gas fireplace. 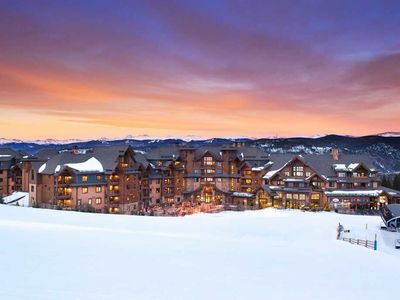 You can also enjoy the heated swimming pool year-round, and the 2 hot tubs that look out to ski runs. There is also a workout room, steam room, and ski lockers on the first floor. Coin-operated laundry facilities on each floor. 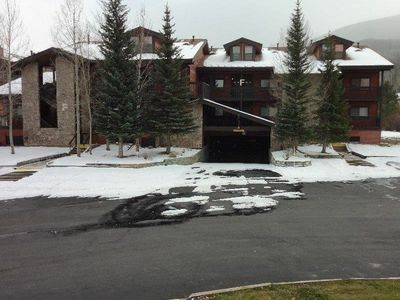 Best of all, this complex has free heated underground parking which makes all the difference in the world. In the winter, you can leave your boots in the car and they won't freeze! River Run village is loaded with shops and restaurants - it's a village of it's own and has great nightlife, shopping and dining just steps away from the complex. 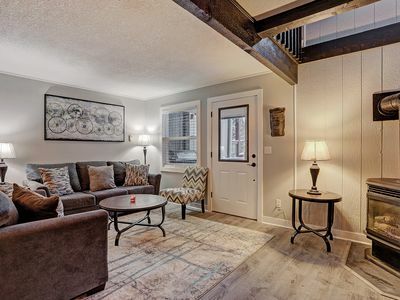 It's just across the parking lot, so while you are enjoying the convenience of all the amenities within a short walking distance, you are still in a quiet part of the village. Also remember that Keystone is the only ski resort in Summit County that offers night skiing! SLEEPING ARRANGEMENTS: Queen bed in the bedroom with a TV/DVD. 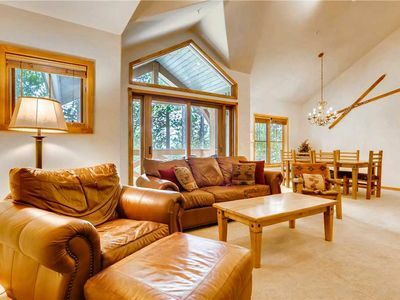 Full sofa sleeper in front of the gas fireplace in Living room. 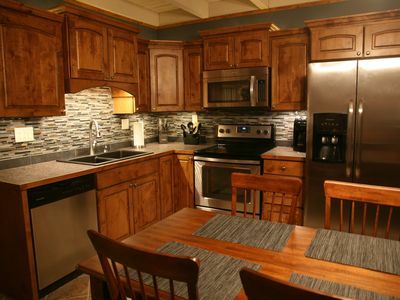 FLOOR PLAN: There is a fully stocked kitchen with stainless steel refrigerator, stove/oven, microwave, and dishwasher. All the pots/pans, dishes, glasses and silverware are provided. The kitchen is open to the living room. There is a dining room table that seats four. 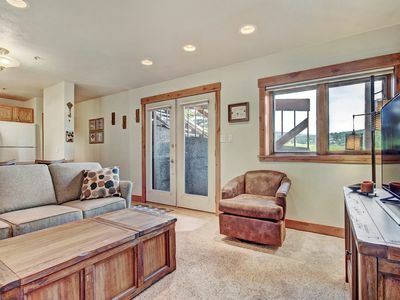 The living room is cozy and has a TV/DVD and Blue Ray with cable and Netflix. 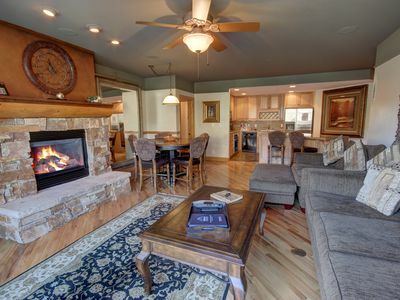 Enjoy a movie or read a book in front of the gas fireplace. 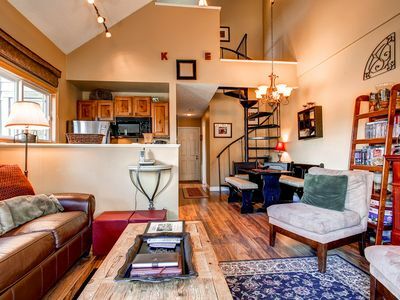 This condo has free high speed Internet/wifi. 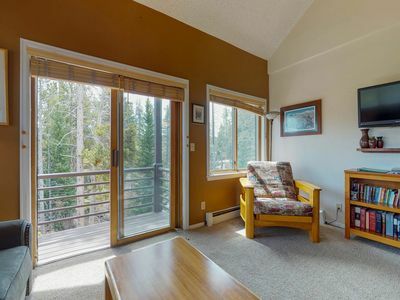 There is a small ground floor deck off the living room that has views of the mountains, gondola and ski runs. The bathroom (tub/shower) is just off the kitchen. 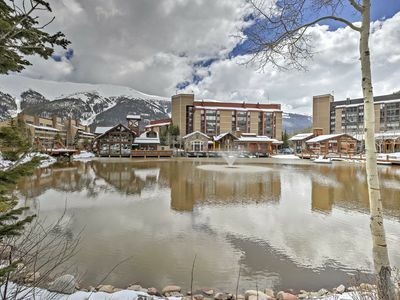 KEYSTONE ACTIVITIES: River Run Village is the center of all the activities that Keystone has to offer. There are many excellent restaurants, bars, coffee shops, as well as many shopping options. In addition to night skiing, Keystone has the Adventure Park, at the top of the Gondola that offers three steep tubing hills. 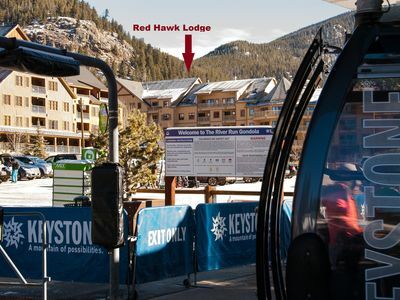 Located by the Mountain House at Keystone, there is the largest outdoor skating rink on a frozen pond with a beautiful Christmas tree in the center, surrounded by shops and restaurants. Welcome to Mountainside! 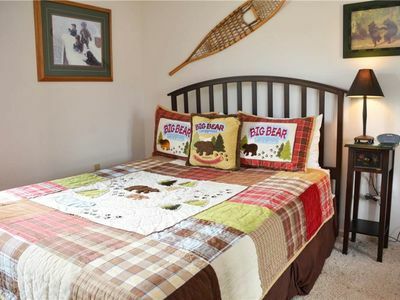 We have two bedrooms and access to a fantastic clubhouse! Don't escape from the kids, bring them to enjoy the indoor swimming pool! 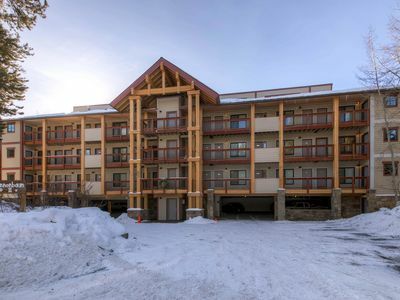 Spacious Copper Mtn Condo- 1 Min Walk to Ski Lift! 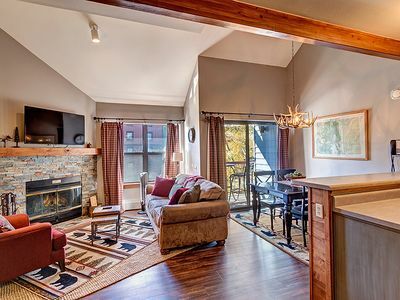 Cute and Cozy with a Fantastic Location for Easy Walking to Slopes and Main St.
Quick stroll to Main St. Walk or hop a fast shuttle to Beaver Run or Gondola. Come play - the snow is AWESOME! 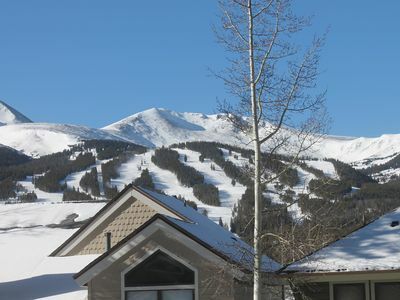 Ski-in/ski-out condo w/ a deck & a shared hot tub - 2 dogs welcome! 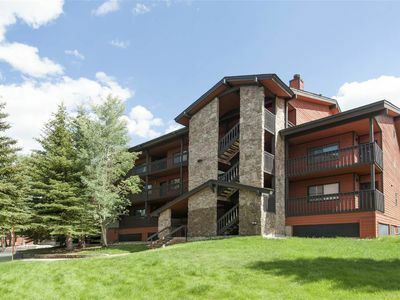 Beautiful Mountainside Condo sleeps 6, access to Clubhouse and walking distance to Main St.